Q: Will patients flock to the ED if we start offering buprenorphine? A: EDs that have ED-initiated buprenorphine protocols report that this has not happened. In fact, patients with OUD are already in your ED whether presenting with life-threatening illnesses such as overdose or for less urgent reasons, such as asthma exacerbations, hyperglycemia, skin infections or withdrawal. Q: Is buprenorphine treatment just replacing one drug for another? A: No. Buprenorphine is a medication, prescribed by a clinician and taken under supervision along with behavioral support. The medication has been chosen for its oral (instead of intravenous) route of administration, daily dosing, and lack of euphoria. Addiction is about behavior and loss of control. In this case of opioids, addiction is about engaging in behaviors associated with obtaining and taking opioids illegally or differently than prescribed. Treatment with buprenorphine and methadone, both opioid agonists, is effective in reducing overdose and all-cause mortality, withdrawal symptoms, cravings, HIV transmission and other infectious diseases, interactions with the judicial system, as well as improving social relationships and becoming functional members of society. Q: Should I worry about diversion? A: As with all controlled substances that we prescribe, diversion of buprenorphine occurs. Diverted buprenorphine is less reinforcing than diverted full agonist opioids that cause greater euphoria and respiratory depression. When individuals are obtaining diverted buprenorphine they are almost always trying to prevent withdrawal, not trying to experience euphoria. Every time there is one less use of injection drugs there is one less opportunity for overdose and death. Q: Do I need a Drug Addiction Treatment Act of 2000 (DATA 2000) waiver to administer buprenorphine in the ED? A: No. 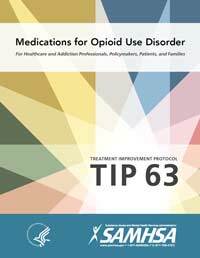 Buprenorphine can be provided in the ED to treat opioid withdrawal symptoms. In addition, buprenorphine may be dispensed from an ED by a non-waivered practitioner for up 72 hours “ The 72-hour rule” (Title 21, Code of Federal Regulations, Part 1306.07(b) which allows EDs “to administer narcotic drugs for the purpose of relieving acute withdrawal symptoms when necessary while arrangements are being made for referral to treatment.” You cannot write a prescription for “up to 72 hours” without a DATA 2000 waiver. Each dose of buprenorphine during the 72-hour period must be administered in the ED. Online DATA 2000 waiver training is readily available and in person trainings are offered by sanctioned medical societies. By obtaining a DATA 2000 waiver, clinicians can prescribe buprenorphine for short or long periods of time. Q: How do I obtain a DATA 2000 Waiver? A: First, you must complete requisite training on the treatment of OUD. Then you may apply for a waiver to SAMHSA after completing 8 hours of training for physicians or 24 hours of training for Physician Assistants and Advanced Practice Nurse Practitioners. Go to PCSSnow.org for a complete calendar listing of FREE in person and online trainings developed by the Providers Clinical Support System. 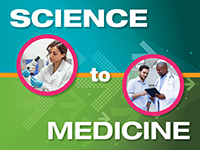 The American Society of Addiction Medicine also offers a training curriculum. Q: How many days of a buprenorphine prescription should I prescribe if I have a waiver? A: The goal is to develop agreements with community providers and opioid treatment programs so that you would only need about 3-4 days. However, in some communities, access may be difficult and you may need to extend this up to 7 days. Q: How long do I need to wait to initiate buprenorphine after a naloxone reversal for opioid overdose? A: In general, the recommendation is to wait 2 hours after a naloxone reversal to perform the Clinical Opioid Withdrawal Scale (COWS) and treat according to withdrawal severity. Remember to always ask about and test for methadone and if the individual has methadone in their system, waiting longer is prudent. Some patients may be good candidates for unobserved home induction if they are ready for treatment. Q: How long must a patient be observed after receiving buprenorphine in the ED? A: You will notice a major improvement in withdrawal symptoms within 20 to 30 minutes of buprenorphine dose administration. The ED visit that includes assessment of opioid use disorder (OUD), administering buprenorphine, counseling regarding overdose, buprenorphine treatment, naloxone distribution and providing a specific referral can be accomplished within 60-90 minutes, which is within guidelines for an urgent visit. Q: What mandatory/optional lab tests do you need for ED initiated buprenorphine? A: There are no mandatory tests needed if you are sure that the patient has OUD. Important optional tests that are encouraged include urine toxicology testing, urine pregnancy testing, and liver function tests (LFTs). A pregnancy test is helpful in terms of referral and deciding on whether to administer or prescribe buprenorphine with or without naloxone. If there is methadone use in your community, it is advised to check a urine sample for methadone. Buprenorphine is metabolized by the liver and most clinical trials have excluded patients with LFTs are greater than 5 times normal. However, obtaining LFTs is not essential in the first visit but may be helpful for the receiving referral site. Other tests such as hepatitis C and HIV can be done at the referral site. Q: Do I have to worry if a patient is also taking benzodiazepines? A: Some patients will be taking benzodiazepines and other substances along with their opioids and this is not a reason to withhold treatment. Patients should be counseled regarding the risk of overdose when using benzodiazepines, alcohol or other sedatives with along buprenorphine. Q: Different protocols suggest dosing at different COWS scores, does it matter? A: The first principle related to conduction a buprenorphine induction in patients with OUD is that the patient is in withdrawal when they receive their induction dose. Since buprenorphine has a high affinity to the mu opioid receptor it will displace any other opioid on the receptor and can therefore precipitate withdrawal if the patient is not in withdrawal. A careful history regarding last opioid use is important. Patients generally are in withdrawal 8-10 hours after last heroin use, and 12 hours after oral use of oxycodone, (8-10 hours after snorted oxycodone). For methadone, a long acting opioid, one should wait 48-72 hours after the last dose of methadone before administering the first dose of buprenorphine. Knowing this, variations in COWS can exist, one just needs to understand the pharmacology. For example, if an individual is 12 hours out of last use of heroin and their COWS is 8, then one can initiate a dose of buprenorphine. With use of methadone one should wait until moderate to severe withdrawal such as a COWS of 13-15. Q: What are the different formulations of buprenorphine? A: The most common is Suboxone which is a combination of buprenorphine/naloxone. This preparation comes in SL tablets (generic) or film dissolved under the tongue. There are different brand names including Zubsolv tablets and Bunavail film preparations. Buprenorphine is available as SL tablet (Subutex) without the naloxone that is often used in pregnancy to decrease risk of teratogenic naloxone exposure. This formulation has the highest potential for diversion of all formulations so its prescription is reserved for pregnant patients or directly observed therapy by most experts. Q: What is the worst thing that could happen after I administer buprenorphine? The patient was experimenting with opioid and does not meet criteria for an opioid use disorder. Q: How do I treat precipitated withdrawal? A: The best form of treatment is prevention – reserving buprenorphine induction for patients in moderate to severe withdrawal as assessed using the COWs or allow for unobserved induction if the patient is unlikely to manifest withdrawal during the ED stay. Care for patients with precipitated withdrawal is supportive, and driven by management of the patient’s symptoms. Optimal management will be driven by consideration of the most recent opioid type, quantity and the duration of time before buprenorphine exposure along with the dose of buprenorphine that precipitated the withdrawal. Clonidine, lofexidine, anti-emetics and non-steroidals can be given for symptomatic management. Effective treatment of withdrawal symptoms has been reported with additional buprenorphine to fully occupy the mu opioid receptor. Reference: Sublingual buprenorphine/naloxone precipitated withdrawal in subjects maintained on 100mg of daily methadone. Rosado J, Walsh SL, Bigelow GE, Strain EC. Drug Alcohol Depend. 2007 Oct 8;90(2-3):261-9. Epub 2007 May 22.